The P30 series represents a significant step up in imaging performance, as we’ll show you in an upcoming post. Which is all the more striking given the P20 Pro’s reputation as one of the best smartphone cameras you can purchase even today. 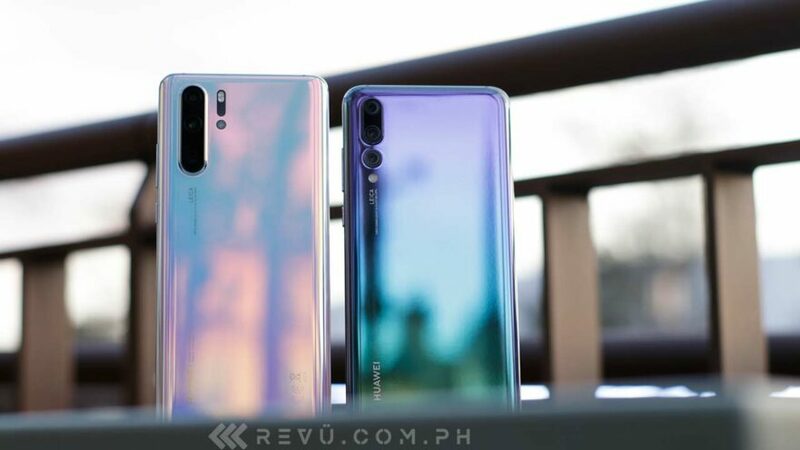 Huawei has upgraded the rear-facing module on the P30 to include three cameras from two, with one of the cameras having an ultra-wide-angle lens for snapping group photos and landscape pictures without cropping anyone or anything out. The P30 Pro, on the other hand, features a quad-sensor set if you include the time-of-flight sensor that helps in object tracking and depth detection. Besides the camera spec bump, the Huawei P30 and P30 Pro also offer significant upgrades on the outside and inside while keeping their familiar looks and updating them to enjoy some of the features the technology giant introduced on the Mate 20 line earlier. We think the upgrades are significant enough to make these phones appealing even for those coming from a P20 or P20 Pro. Still, it’s helpful to have a line-by-line comparison of specifications on hand, which is what we have below. European pricing for the P30 has been set at €749 (around P44,495 or $846), while the P30 Pro starts at €999 (P59,332 or $1,128) for the base unit with 8GB RAM and 128GB of native storage. Do keep in mind, though, that prices in Europe tend to be higher than in most other parts of the world, so it’s possible the phones could cost much lower than expected when they debut in your country. In the Philippines, the Huawei P20 and P20 Pro cost P34,990 ($665) and P44,990 ($855) at launch last year. While local pricing hasn’t been revealed yet, preorders for the P30 series will go live first week of April.